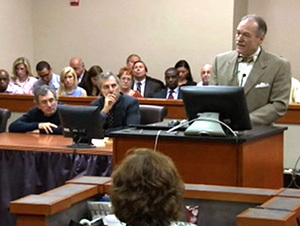 Doug Peters was named the “2013 Georgia Criminal Defense Lawyer of the Year” for Non-White-Collar Criminal Defense by The Best Lawyers in America, the preeminent referral guide to the legal profession in the United States. Best Lawyers lists attorneys in 124 specialties who have been chosen through an exhaustive survey in which thousands of the nation’s top lawyers confidentially evaluate their professional peers. Lawyers are chosen for inclusion based solely on the vote of their peers. In this regard, Best Lawyers remains the gold standard of reliability in lawyer ratings.